The teaser of Lakshmi's NTR, which hit the internet on January 18, has taken the social media by a storm. This first look video offers a hint that director Ram Gopal Varma (RGV) is coming back with his lost magic. The teaser of Lakshmi's NTR, which hit the internet on January 18, has taken social media by storm. This first look video offers a hint that director Ram Gopal Varma (RGV) is coming back with his lost magic. Ram Gopal Varma has delivered some blockbuster films like Siva, Kshana Kshanam, Rangeela, Satya Dil Se, Sarkar and Rakta Charitra. He has created a niche for himself with the kind of movies he has done. But most of his recent movies did not do well. Many people in the industry were shocked with the poorest response for his latest film with Nagarjuna - titled Office, which struggled to collect Rs 1 crore at the box office. When he announced Lakshmi's NTR, many viewers and people from the industry raised doubts over the credibility of Ram Gopal Varma, who was once addressed as a maverick filmmaker. They expressed concerns over him doing justice to the story of NT Rama Rao, who made immense contributions to the society both as an actor as well as the Chief Minister of United Andhra Pradesh. But the teaser of Lakshmi's NTR, which was released on the death anniversary of NTR, has stunned all of those people. The first look video showcases worried NT Rama Rao. His wet eyes, soothing music and amazing camera angles have struck an emotional chord with the audience. This one-minute-long video has given a feeling to them that he is set to return in full form. The teaser of Lakshmi's NTR went viral in no time and registered 1 million views on YouTube in 12 hours. Ram Gopal Varma, who was thrilled over this huge response, took to Twitter to share his excitement with his followers. He shared a screenshot of the response and wrote, "1.1 million views in 12 hours ..This is proof that NTR from heaven is blessing Lakshmi's NTR #LakshmisNTR"
Within the next couple of hours, the teaser of Lakshmi's NTR went on to cross 1.5 million digital views. Social Media Strategist Raja Chaitanya tweeted, "#NTR First look from #LakshmisNTR going super strong with 1.2M on YouTube 153K on FB 169K on Insta Total Digital Views: 1.52 Million and currently trending #5 on @YouTubeIndia @RGVzoomin @kalyanimalik31 @sirasri"
However, the teaser of Lakshmi's NTR has kept all those naysayers of Ram Gopal Varma on a tenterhook and they are eagerly waiting to hear about its release date. 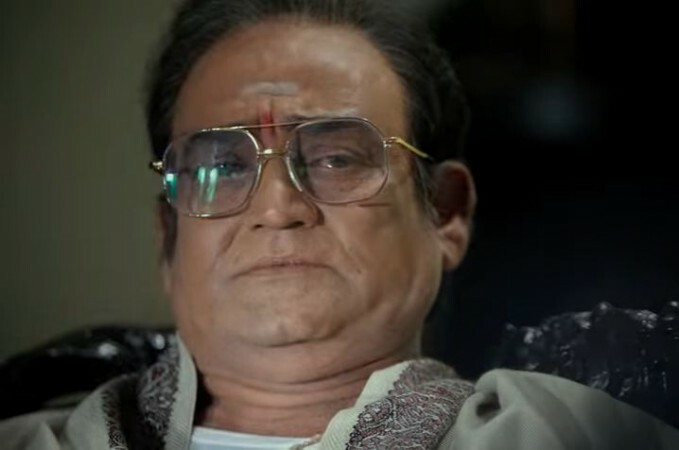 The viewers, who are apparently not contented with NTR: Kathanayakudu, say that the actor, who has essayed NTR's role in RGV's film, looks better than Nandamuri Balakrishna and this one will surely win the heart of everyone.